Ice Cube presents a defense of Los Angeles architectural aesthetics and an appreciation of Charles & Ray Eames. Also of note: he declares traffic on the 110 freeway to be "gangsta traffic." Good to know. A few months ago, filmmaker Gary Hustwit was on The Sound of Young America to talk about his documentary Objectified. At the time, he was touring with the film - if you missed the tour because of scheduling or geography, you can now catch the film on the PBS series Independent Lens, starting tonight. Most PBS stations carry Independent Lens, to find out when yours does, use this handy tool. Gary Hustwit is a documentary filmmaker. His first film, "Helvetica," focused on the history of the iconic font. 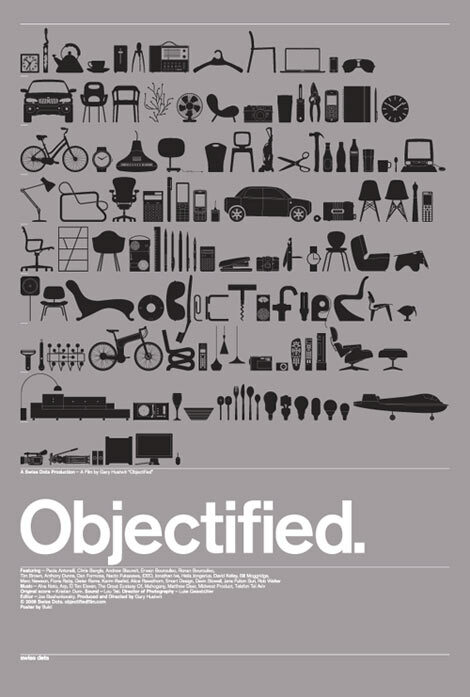 His newest, "Objectified," is about the process of consumer design. It's currently touring theaters, and will run on PBS this fall. Deyan Sudjic's "The Language of Things"
Deyan Sudjic is the director of the Design Museum in London and the author of "The Language of Things." We talk with him about the history, function and significance of design.